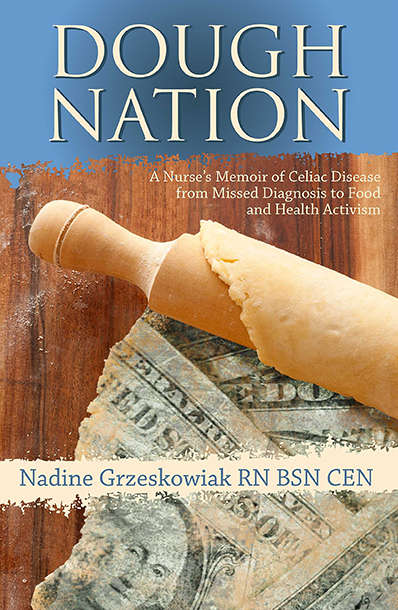 Remember, there are over 300 health conditions that have been associated with Celiac Disease. If you have been diagnosed with something in the past that you did not know was related, there is a good chance it might have been. Thank you for your story. With your help, we can spread awareness of this common autoimmune condition not only within the healthcare community, but throughout the nation. I discovered my gluten intolerance nearly 4 years ago. I was completely under the impression that these terrible symptoms I would experience after eating certain meals would wreak havoc on my GI system and continued to get worse as the years went by. It started with the normal loose bowel movements, which turned into watery, acidic burning bowel movements, heartburn, lethargy. As years went by I developed hypothyroidism, which I am convinced derived from the over abundance of gluten I would eat. Pasta, in particular was my go to dish to get by as well as bread. In my mid 40’s I developed leaky gut which, when I started developing more serious symptoms they ranged from bronchial infections to sinus infections, body rashes, scalp funk, fungal infections, nail fungus, it was horrible until I finally removed all gluten from my diet and began to follow a predominately Paleo diet. It’s been 3+ years and my skin looks amazing, no bloating, no diarrhea, no heartburn, controlled hypothyroidism and the list is endless. I am so much sharper and don’t feel tired all the time and sleep so much better. It’s been a life changing shift in my life in the most positive of ways to remove gluten from my diet. After struggling with adrenal fatigue and migraines I finally did a whole 30 elimination diet. I followed it for three months before adding anything back in. When I tried adding gluten in it did not go well. Within two hours of eating gluten, I started having a migraine and spend a day and a half on the couch feeling like I had the flu. I guess I was so used to feeling bad that I did not realize how bad it was making me feel!